New Zealand boasts a rich history of names in the realm of motorsport – Chris Amon, Bruce McLaren, Possom Bourne, Greg Murphy, Scott Dixon and Mitch Evans are just a selection of names in the NZ motorsport pantheon. While Kiwi drivers have had success across a variety of motorsport competitions and rulesets, there is one glaring hole – Formula One. Sure, NZ may have shined from the 50s to mid-70s in an F1 “golden age”, but since then Kiwi’s have been largely absent on the Formula One track. The last time New Zealand had a driver in the Formula One was 1984. 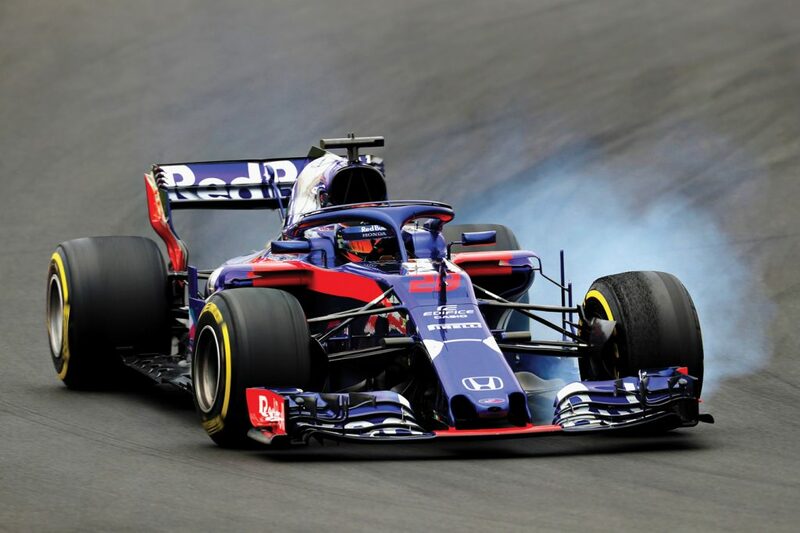 The Formula One drought ended late last year when Brendon Hartley arrived on the scene, racing for Italian team, Scuderia Toro Rosso. Hailing from a family of motorsport fanatics, Hartley made a name for himself at a young age winning a long-list of national awards throughout his teenage years. 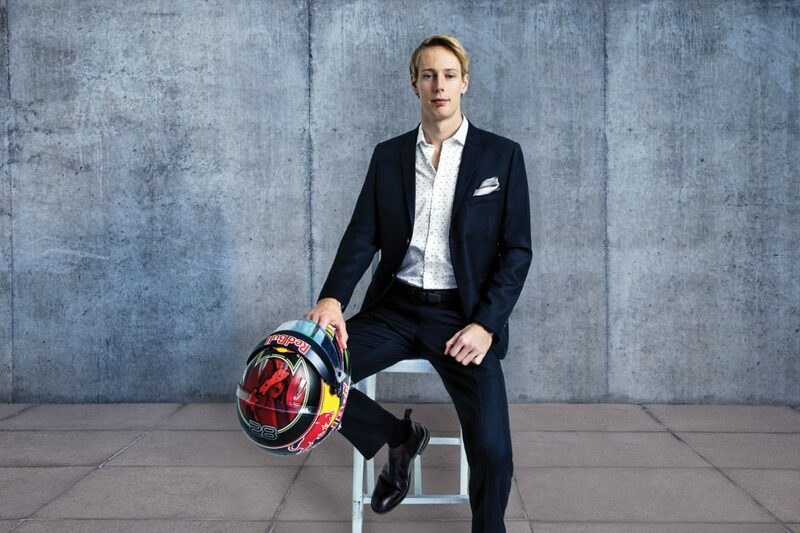 He met initial heartbreak after being dropped from Red Bull’s junior team in 2010, but eight years on, Brendon Hartley finds himself as the first New Zealand Formula One driver in 34 years. The Red Bull Scuderia Toro Rosso Honda driver is back on track, and with the finish line clearly in sight. We had a chat to the Palmerston North native about his journey in motorsport so far, the move to Formula One and facing adversity head on. You’re part of the most prestigious form of racing in the world, what inspired you to immerse yourself in the sport? It sounds very cliché, but it was the childhood dream. I grew up at the race-track. In fact, my earliest memories are at the race-track watching my father and my brother who is 4 years older than me. I grew up in a racing family. So, I was immersed in the environment for as long as I can remember. It was my dream to be in formula one. I remember those nights staying up until 2am watching Formula One (thanks to the time zone difference in NZ). It’s a long story how it became a reality but it was always the dream. Does your family build cars? Yes, it’s the family business, but I’m not a part of it at all and they’ll be very quick to tell me I wouldn’t know a spanner from a screwdriver. But I would like to think I’m a little bit more clued up. I don’t just hop in, turn the wheel and push pedals. They build race engines – my brother designs and builds a lot of his own parts of the engine. Also, my brother designs and builds race cars, so it’s a good little business they’ve got going there. 2018 is set to be a significant one for you as you are entering the F1 circuit, that’s so exciting! What piece of advice would you give to young drivers following in your footsteps? I guess the first one that springs to mind is never give up. That’s very relevant in my situation. I went through some tough times in my career and came out the other side. At a time where no one expected it, I ended up finally reaching my dream of competing in Formula One. Obviously, the goal shifts. I’ve got to get points and consider my driving. Goals are always moveable right? Another piece of advice that I could offer from over the course of my 28 years, is that the world is a lot smaller than you think. Especially in the sporting world – people that you meet early on, you will meet them again, and often. You will have to make friends along the way, and don’t be shy to pick up the phone, be proactive. That’s been a big story of my success. Making it to the top of the podium at Le Mans must have been a real career highlight, how did it feel to cross the finish line first? Standing on the top step of the podium at Le Mans was definitely a career highlight. It was one of the most memorable days of my life. That out-trumps my Formula One debut, which happened a few months after. Standing on that top step and seeing the sea of people, close to 300,000, and standing up there with childhood friend Earl Bamber. I’ve been racing with him, and just standing up there arm in arm together…there’s so many parts of that race that I will never forget. Friends, family, all the people involved in the project, it’s definitely a very proud feeling. It’s not often I get like that. Very proud to be a part of it. I’m aware I play a small part but it’s a proud moment to be part of the story that makes it into the history books. It’s one of those races that will live on in the history books forever. Tell us what it’s really like being behind the wheel of such a fast and sophisticated machine? It’s a tricky question to answer because I’ve done it all my life. It’s hard to explain to people what it would be like for someone else to jump in there and get a Formula One car to the limit. It would be almost impossible for someone without years and years of training; I’ve prepared for that my whole life. It is a huge rush and you do have adrenaline running through your veins. You have a huge amount of pressure, which I think a lot of people forget about. In any sporting situation it’s the dream to reach the pinnacle or a very high level but along with that comes responsibility and pressure. Which over time you learn to deal with. I think earlier in my career I struggled with that and struggled to deal with the pressure and there were times that I hated being in the car for those reasons. It’s only recently that I’ve really embraced the pressure and really started to enjoy my racing again. It’s like a high-speed rollercoaster on steroids, like times ten but you’re in control. That kind of puts it in perspective of the kind of forces that are at work and how quick it feels. It’s amazing what the brain can do to adapt. I guess it’s actually an emotional and physical experience and people may not necessarily realise that it’s draining. It’s massively draining, physically and mentally. The precision that’s required when driving these cars at 350mph and to also try and find a breaking point within one meter. Mentally, its very draining. Driving Le Mans through the night, being focussed for 2-3 hours at a time and any small lapse of focus or concentration can end the race. You can hit the wall and have a big crash. On the other side it’s physical, it’s hot, sometimes I can lose 2kgs in the space of an hour and a half. It’s a very specific sense of fitness that we have to have. In terms of numbers it can be up to 5G. To put that in perspective that’s about 30kg that’s being pushed on the side of your head at every corner. When I had failure, I have to learn from my mistakes. I was very close to reaching Formula 1 back in 2008-2009, I was next in line to a driver and I crumbled, I didn’t perform, I wasn’t happy, I wasn’t enjoying it and I was burnt out and homesick. I’m not trying to make everyone feel sad for me but that’s just the pure value of it and I wasn’t ready. That’s the biggest learning curve coming out and picking myself up and working very hard and making the right decisions. Kind of rebuilding myself over the course of the last 8 years back to where I am right now. Coming out the other side of adversity and learning from your mistakes and your own weaknesses. So, small town boy from Palmy, now living in Monaco, did you always envisage rising this high through the ranks? As a young kid racing go karts, I always told everyone I was going to be a Formula One driver. Looking back now it was so unrealistic to think that that was ever going to happen. You know, I come from a very modest family and never in a million years could have dreamed of raising the kind of funding that you need to go race in Europe. It was completely unrealistic but somehow it happened. It’s again very cliché to say but dreams do come true. If you stick at it and have the right attitude and don’t give up, things can happen. So, you got married in January, what were you most looking forward to on your big day? All the surprises! I had no idea what was going to happen as Sarah did most of the planning. To be honest, I’ve had such a busy few months and it has been absolute madness for me. You can probably still see the bags under my eyes. Sarah just took charge of everything that was involved. I think the only involvement I had was looking over the seating plan as I was on a flight back to New Zealand. For me, I was just looking forward to hanging out with friends. Our wedding was pretty small, less than 65 people. We wanted to just enjoy it and were going to have quite a few days with everyone as we had a lot of people travelling far. I guess a lot of people were looking for an excuse to come to New Zealand. So, it wasn’t just going to be one day, it was going to be a whole week. We even went mountain biking afterwards with a few friends. We’re not traditional so a lot of the traditional stuff was cut out. Outside of the racing jumpsuit, what is your go to look? Or how would you describe your style? Um… I don’t know. I don’t put that much thought into it. I will say I’m into casual, that would be the word to describe it. It’s not often that I put on a collared shirt to be perfectly honest with you, but when I do, I can’t go past Van Heusen, and I feel quite good about it. Does being back in NZ influence you? What’s it like to be home, does it ground you again? Early in my career when I first moved away from home, around 16, those years I got quite homesick actually. I left school, friends and family. When I would return home, I remember feeling a rush of all these emotions. For anyone who’s travelled they’ll know that you don’t appreciate NZ, you don’t miss what you’ve got until you leave and experience the rest of the world, then return. It’s quite a different situation now because Sarah and I have made a life for ourselves overseas, so in some ways that’s more home. You know we’ve got friends and we’ve lived abroad for more than ten years now. So home is more to come back and see friends and family. We’ll make the most of it and go outdoors, go mountain biking, climbing. I always feel very happy to come home and I always make the most of it. I don’t get that real sense of homesick anymore because I always plan to come back to NZ. Brendon Hartley of New Zealand driving the (28) Scuderia Toro Rosso STR13 Honda on track during day one of F1 Winter Testing at Circuit de Catalunya on February 26, 2018 in Montmelo, Spain. Beach Resort or luxury hotel?